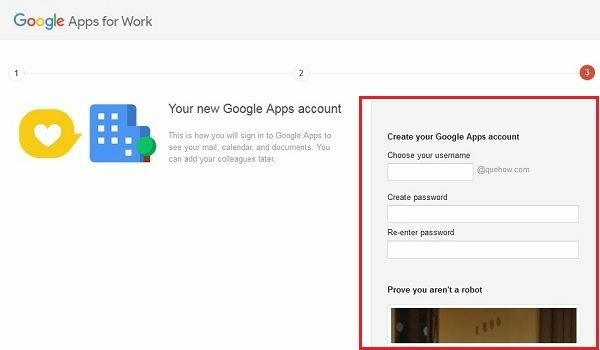 Do you want to know how to create Google Apps for work account?. Google Apps for Work also known as Google Apps for Business is a platform which provides Google tools such as Gmail, Google Drive, Google Hangouts, Google Calendar and Google Docs on a subscription basis. Initially, you’ll get a demo period of 30 days to use Google Apps for your business. 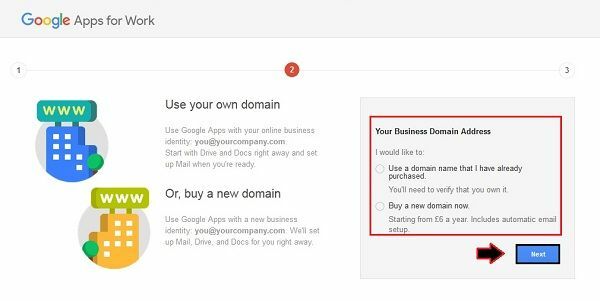 By using Google Apps for work, you’ll get your customized email address for your domain (xyz@yourcompany.com) and around 30GB storage space for your documents and emails. 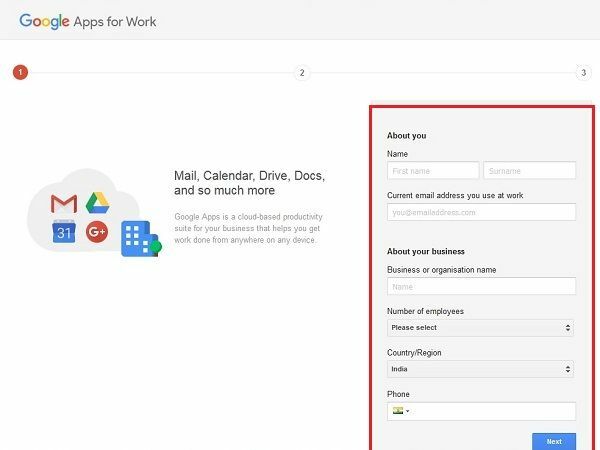 Just have a glance at this article to know how to create Google Apps for work account. Step 1: First you need to go to Google App for work official website, i.e., “https://apps.google.com/” and then click on the “Get Started” button which is at the top right corner of your browser screen. Step 2: After that you’ll see a Google form in which you have to fill your details like Name, address, Organisation name, Number of Employees, Country region and phone number and then click on the “Next” button to continue further. Step 3: In the next step, you need to choose a Business Domain Address. Click the first option if you’ve already purchased a domain name otherwise click on the second option to “Buy a new domain”. 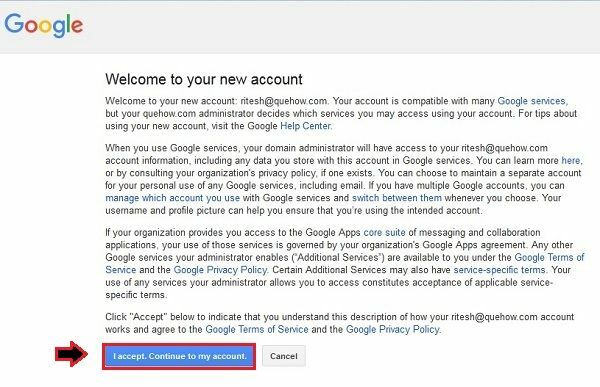 Step 4: Now, in the next step, you need to enter your username and password for Google Apps account. 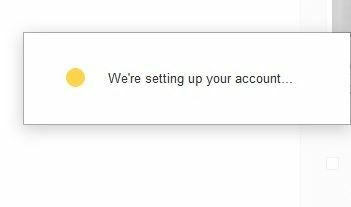 Step 6: Just wait for a while till your account gets configured. Step 7: Finally, read the terms and conditions and then click on the “I accept, Continue to my account” button. 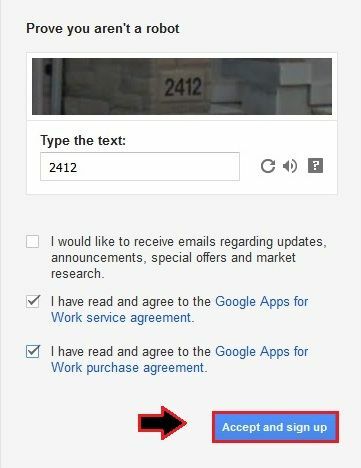 Step 8: Before using Google apps for work, you need to verify your email address. 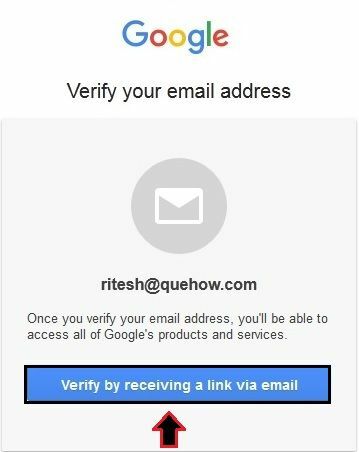 Just, click on the “Verify by receiving a link via email” button to very your email and after that, you can use your Google Apps for work account effectively.